A piano can serve as an amazing centerpiece in your property, or it can be an old dilapidated eye-sore taking up valuable real estate. If you are ready to say good-bye to your piano forever, you need professional assistance. Kelley Klean is a full-service restoration company who also specializes in piano removal and furniture removal. Servicing the Columbia, Jefferson City, and Central Missouri areas, we are the proud contractor of choice in the Mid-Missouri area. When you pick up the phone to call Kelley Klean to remove your piano, you will receive a competitive estimate either on the phone or from one of our on-site estimators. This way, you know exactly how your piano will be handled and removed. If you would like to learn more about our piano removal services, give us a call at 573-214-0990. Preferred Contact Method: If you prefer us to give you a call when our team is heading to your property or an e-mail, our dispatchers will find out your communication preference. Describe the location of the piano: Kelley Klean’s dispatchers will ask you the location of the piano so that we can determine the complexity of the job. If the piano is located on the second floor or resides in close proximity to the front door, those factors will determine our overall pricing structure. Describe the path of the piano: It is very important we understand the path between the door and the location of the piano. Our pricing will vary depending upon a piano amidst a cluttered path or a location that has a clear direction to the outside. Special Considerations: Are there any other special considerations at this point? If so, please communicate those with our dispatchers prior to scheduling an appointment. Special considerations would be the age of the piano, special handling and care instructions if necessary, and other factors. We will ensure to accommodate any concerns you may have. Need your Piano Removed? 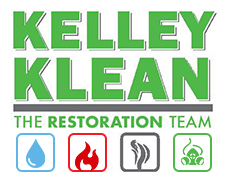 Call Kelley Klean Today! It can be difficult to remove a piano from your property. They are heavy and require special handling to make sure none of the internal moving parts are compromised. We will make sure we protect the surrounding areas of your property; avoiding any scuffs or damage. Servicing the Columbia, Jefferson City, and Central Missouri areas, our office staff is on-hand to answer any questions or to provide you an accurate estimate. Give us a call at 573-214-0990 to discuss your piano removal needs!